Hear Fr. 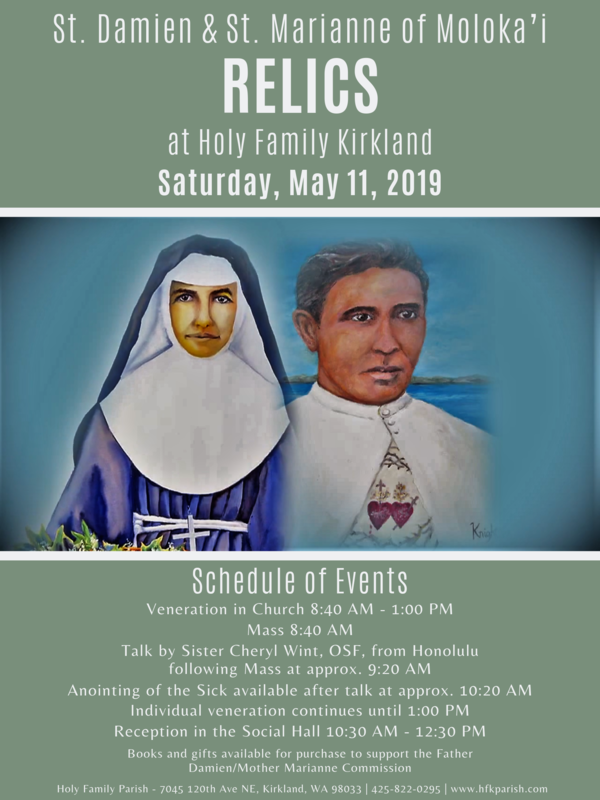 Chad talk about the saints and the visit of their relics to HFK on Sound Insight with Dr. Tom Curran. This interview was carried on AM 1050 Sacred Heart Radio, your local Catholic voice. Listen to the April 4th radio show here. Click here to learn more about St. Damien and St. Marianne and the travelling relics.